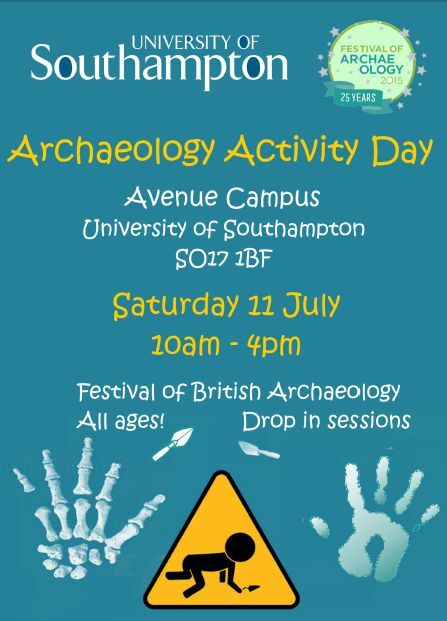 It is less than a week until the start of the Festival of British Archaeology – and we will be holding lots of events, both on and off-campus, during 2 weeks of the Festival. 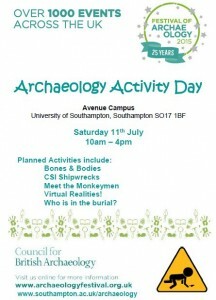 Everything kicks off with an Archaeology Activity Day this Saturday 11th July. 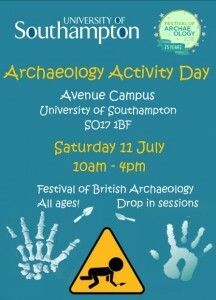 Just drop in to take part in a series of hands-on activities related to aspects of archaeology within the department. Amongst other activities, try your hand laying out skeletons, explore the maritime world – and young children might like to excavate a “burial”! 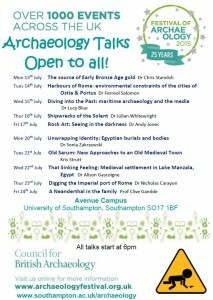 And then on Monday 13th July we start a series of short early evening weekday talks given by members of the department. All talks will start at 6pm and will last about 45 minutes. They are open to everyone. 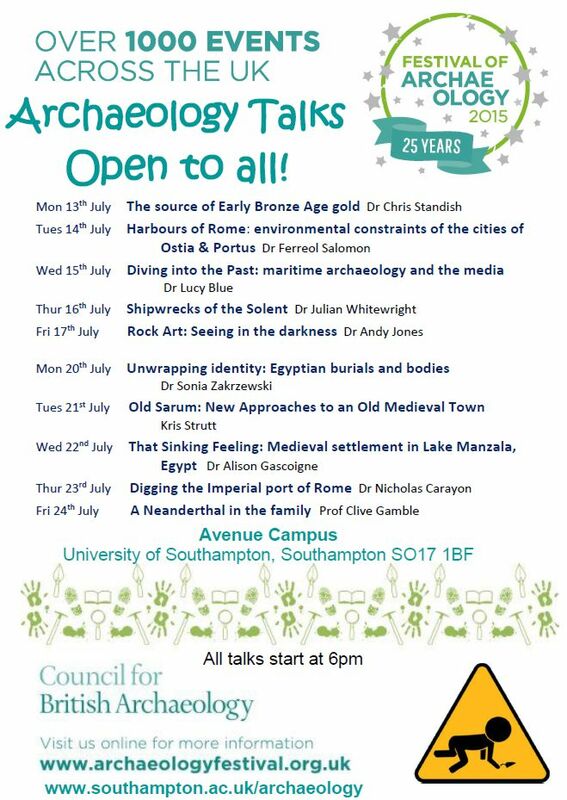 Come along and find out about gold, about archaeology and the media, about Roman ports, about skeletons and many many more topics!